The last issue of Programmez! magazine is out. 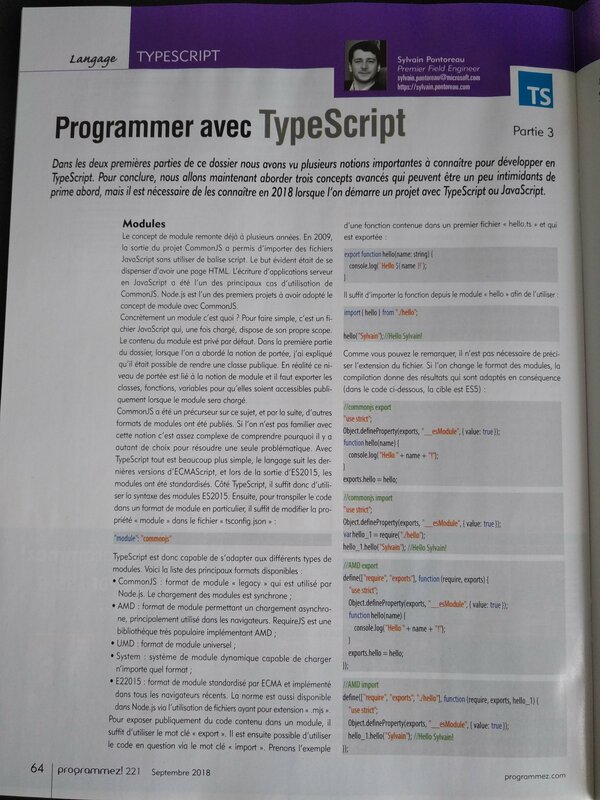 It contains the last part of my serie on TypeScript. It’s really a huge one with some complex concepts like: Modules, Promises, Async/Await and Decorators. Of course it’s an overview, because it’s near impossible to write a deep dive article on those concepts in just 4 pages! Next Post Microsoft Experiences 2018 – TypeScript: Why? When? How?